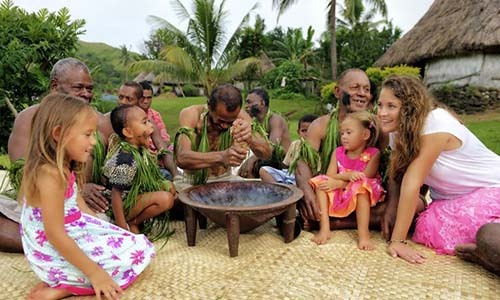 300 Welcomes from Fiji – Bula! 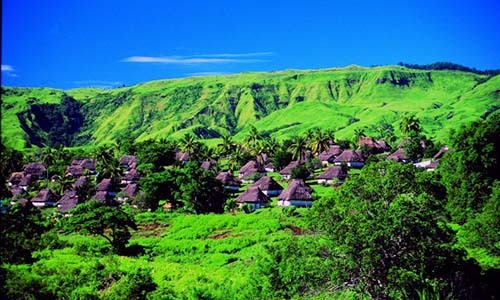 Located in the heart of the South Pacific, some of the happiest people on earth live on the 300 plus tropical islands of Fiji. Deserted white sandy beaches, swaying palm trees, emerald rainforests and clear blue waters full of amazing marine life – what’s not to be happy about? Now that the wet season is over, perfect tropical weather is waiting for you. The climate is tropical all year round, with the cooler season between April and November not really being much cooler than the rest of the year! The main difference is rainfall, with the wet season from November to March producing regular late afternoon rain showers (and the occassional cyclone! 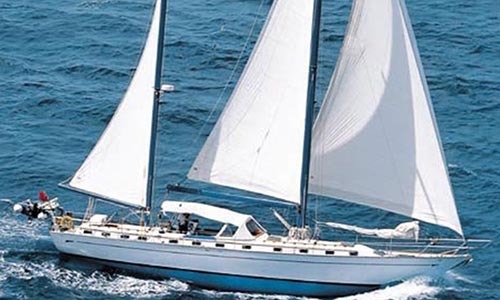 ), and then April to October being mostly sunshine and a cooling southeasterly trade wind … … perfect for the watersports enthusiasts. 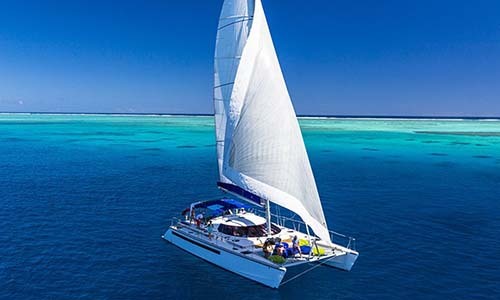 So, come and enjoy the full range of amazing experience that are possible on a Fiji sailing holiday, both below and above the water. 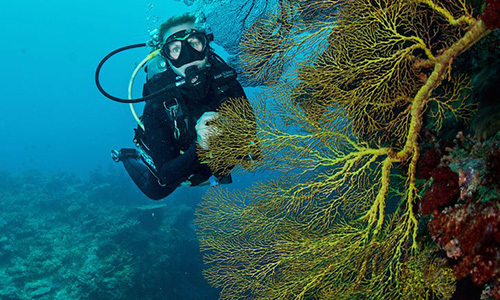 Truly world class underwater experiences can be found around the 300 islands of Fiji, with some dive sites still never explored by another human being. Fiji is known as the ‘soft coral capital of the world’, with several hundred types of coral and sponges being documented, as well as over 1000 species of fish. 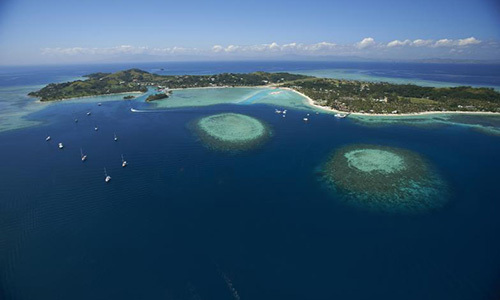 With the 300 plus islands being scattered over 1.3 million square kilometres of the South Pacific Ocean, Fiji boasts one of the largest and most diverse coral reef systems on the planet. 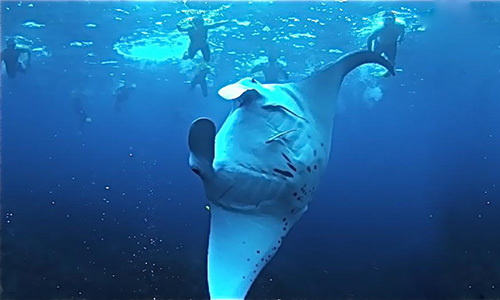 And during the May to October period, prepare to be humbled by the graceful orchestra of the manta rays dancing below you. These are some of the largest fsh in the ocean, often up to 6 metres wide, and they regularly feed in the waters around Fiji in the cool summer months. Suitably mesmerised by your underwater adventures, now it’s time to get into the action above water! 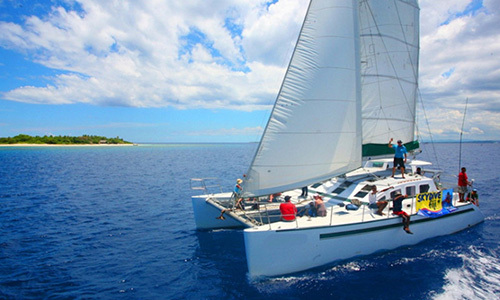 Surfing, kitesurfing, wakeboarding, jetski tours, game fishing…you name it, it is all possible in the watersports paradise that is Fiji. 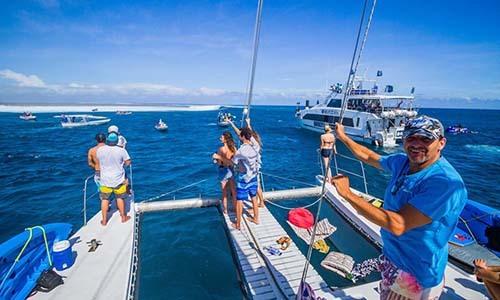 Some of the world top surfing competitions are held around Fiji, with several world-renowned locations such as Cloudbreak to be enjoyed – and what better way to get close to the action than on you own private charter catamaran! Or store your boards on deck, and sail away into the distance far from the crowds and surf your own private breaks for as long as you want! Why not add some local culture to your sailing holiday by visiting a local village? 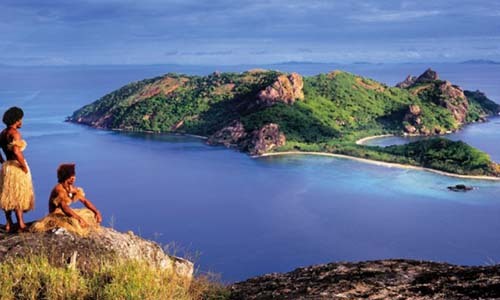 Most islands in Fiji are untouched my modernity, and traditional village experience can be arranged by your yacht captain. Possibly one of the activities Fiji is best suited to!! Just getting away from it all to some of the whitest and most remote beaches you can imagine. 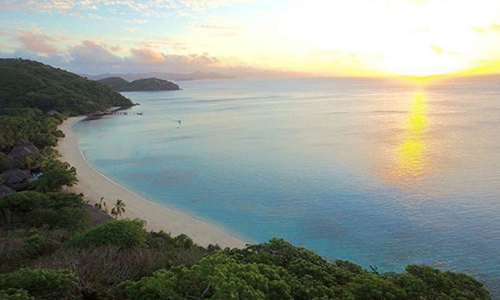 With over 320 islands to choose from, and countless remote beaches, you are sure to find the perfect getaway location! 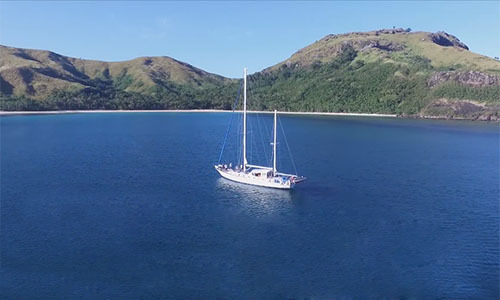 There are direct flights to Fiji from New Zealand, Australia and Los Angeles, so contact us now to find out more the yacht charter holiday of a lifetime in Fiji in the South Pacific.